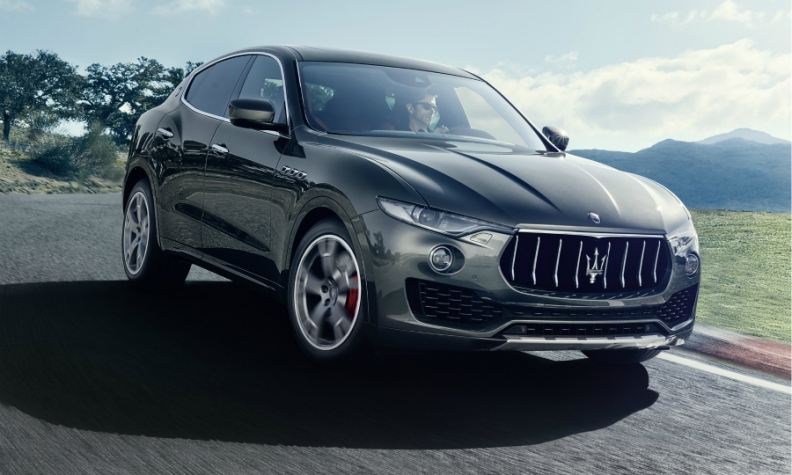 Maserati sales in Italy soared last month on demand for the new Levante SUV. TURIN -- New-car registrations in Italy rose by 18 percent last month, partly due to one more working day compared with March 2016. Sales for the month were 226,143, Italy's transport ministry said on Wednesday. The increase is the 34th year-on-year monthly rise in sales and the best result for the month since 2010. Sales to individual customers were up 5.4 percent in March while sales to car rental companies increased 37 percent and business sales jumped 39 percent. Fiat Chrysler Automobiles' sales grew by more than 21 percent, with all the group's brands posting positive numbers. Fiat brand's volume increased by 20 percent, while Jeep's volume rose by 26 percent. Maserati sales soared by 116 percent on sales on its new Levante SUV. Alfa Romeo's sales gained 46 percent, boosted by the Giulia sedan. Both models were launched in the second half of 2016. Volkswagen Group sales increased by 13 percent, with VW brand sales up 15 percent, Seat up 13 percent and Skoda sales gaining 47 percent. Audi lagged with a 2 percent rise. PSA Group sales rose 17 percent, with Citroen sales up 24 percent, outperforming Peugeot's 15 percent increase. DS sales fell 35 percent. Renault Group's volume rose by 21 percent with Renault brand sales up 35 percent and Dacia's volume declining by 14 percent. Other automakers posting double-digit gains included Opel, which increased sales by 25 percent, Toyota which rose 20 percent and Nissan up 26 percent. Ford sales increased by 20 percent. BMW Group sales grew by 7 percent, while Daimler's volume rose 4 percent, thanks to a 6 percent increase in Mercedes-Benz registrations. Italian market sales through March are up 12 percent to 582,465. Registrations were very high in the last working day of the quarter at 47,000 vehicles, according to Federauto, the Italian dealer association. Massimo Nordio, president of Unrae, said: "Given these sales volumes, we forecast a sales increase in 2017 despite political uncertainty."